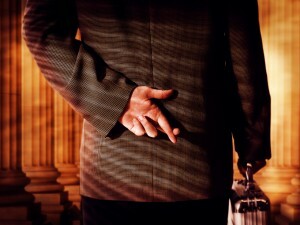 Coast Guard letter exposes CRC dishonesty | Audio and video stories from Southwest Washington. We were led to believe that the Coast Guard failed to inform the Columbia River Crossing that the 95 bridge height was unacceptable. We were told the Coast Guard just now changed their mind and that they were negligent to not inform the CRC long ago of the disastrous mistake that will cost taxpayers hundreds of million more in “studies” to go back to the drawing board again. According to a recent Columbian blog post, it turns out that the CRC and Mayor Tim Leavitt was well aware of the failure to comply before the Record of Decision (ROD) was obtained last year. “Obviously, the CRC staff and the Coast Guard knew what was up, but the CRC had also been quietly informing those “in the know” about the problem. A Vancouver city official was among them. So was Mayor Tim Leavitt,” writes Andrea Damewood. 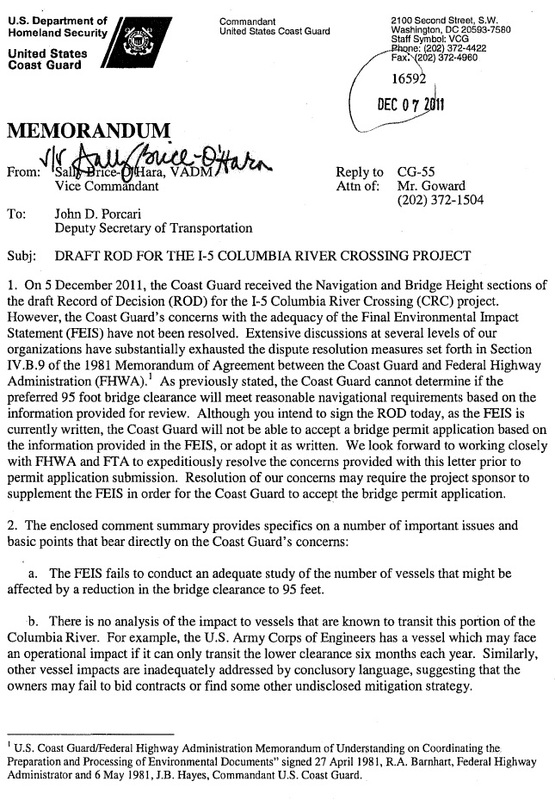 The attached letter, dated Dec. 7, 2011, from the Coast Guard to Deputy Secretary of Transportation John D. Porcari, is one of evidence that reveals the truth. Don’t we deserve to know the truth? Below are regulations relating to obstruction of navigable waterways in the United States. Got an anonymous tip? Share your tip at 360-816-1426. We’ll have it checked out.